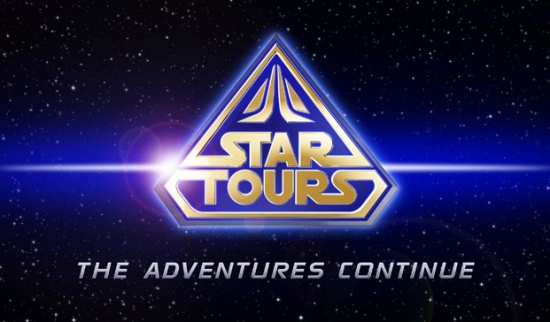 Star Tours: The Adventures Continue confirmed for 25th anniversary. During an interview that was broadcast on Friday (7 November 2014) at 6:45 pm on CBC France Info. Mark Stead, Senior Vice President & Chief Financial Officer of Euro Disney S.C.A. confirmed that “Star Tours: the Adventures Continue” will arrive in Disneyland Paris in time for the 25th anniversary. Disneyland Paris is the only Disney theme park with the original Star Tours ride still in operation. The new upgraded ride which takes Guests on a 3D adventure in the Star Wars universe as officially opened on 20 May 2011 at Disney’s Hollywood Studios. According the ED92 forum the total budget for this attraction will be in the region of 150 million euros, the same amount as spent on the recent Place de Remy in Walt Disney Studios park. Rumors circulating at the moment indicate that not only is the Star Tours ride being up-graded but that whole area of Discoveryland will see a transformation into a Star Wars mini-land. The existing Star Traders store is slated to become a Star Wars Meet ‘n’ Greet location where Guests will be able to meet their favorite Star Wars characters, and Videopolis will soon become home to a Jedi Training Academy. Finally the existing exit area of the Star Tours ride which is presently a games machine arcade will be converted into Europe’s largest Star Wars store. It is being reported that Videopolis will close for six months commencing 12 January 2015 for it’s transformation into the Jedi Training Academy, and the existing Star Tours ride will close in January 2016 for between 6 – 13 months to undergo it’s metamorphosis into Star Tours: The Adventures Continue.